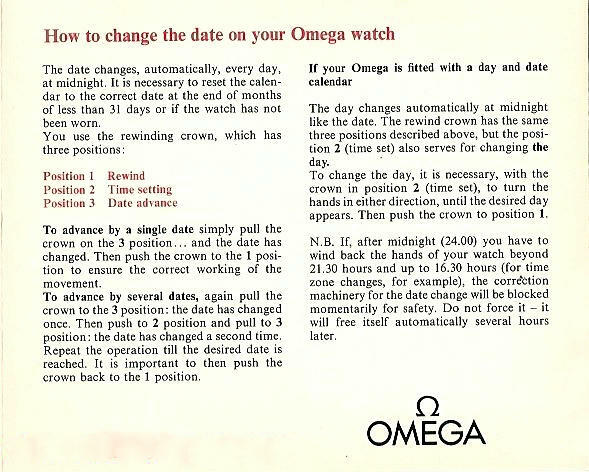 The MOY test is a standard first test to determine authenticity of Omega Constellation dials. But, is there enough consistency in the manufacture of vintage Constellation dials for it to be reliable? The answer to that question is no. While it could be argued that MOY is the standard, there are some deviations from the norm in some Constellation dials. Click here for an essay on the usefulness of the MOY test when appraising Connie dials for authenticity. Hi Josef, I just tested the link and it works. on clicking on the link you will receive a message box asking if you wish to save or download the pdf document. No, but it looks to me that a dial for a cal 352RG/354 has been placed on top of a cal 505 movement. The double crossed Ts in Constellation are too late for a 2852, so its a frankenwatch. My comments above. Swiss or Swiss Made could be obscured by crystal ring.